What Is The Best Treadmill For Running On A Budget? I discovered a new problem with taking up running as a hobby. As you might know I live in Canada in the Rockies and we get snow and cold here for a good portion of the year. Where I live we can often get a foot or more overnight, which is great for the ski hill but it makes running difficult and dangerous. I need to find an option for those days when going outside for a run is not in the cards. If I was in a large city then there would be gyms with running tracks but the nearest indoor track is in a town an hour away from my little town. Also having the kids to keep watch over is difficult after my wife is working so I typically go running very early in the morning before I’m on my own. The best solution for me is a treadmill, but I don’t want to break the bank. 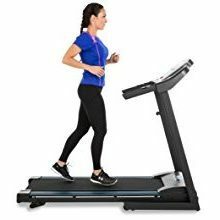 This left me asking myself “What is the best treadmill for running on a budget?” If you are in a hurry, and just what to know what I decided click here to see the Treadmill on Amazon. What should I be looking for? What are the ‘must have’ features and the ‘nice to have’ features I might be able to live without? I started by seeing what the experts say at Harvard Medical School​. I decided to have a look at what is available out there now since the last time I used a treadmill was in High School, I remember running on that treadmill with a yellow sport Walkman listening to a cassette tape by this new group called Nirvana, so let’s just say it was a long time ago…. I’m going to assume technology has changed since then. 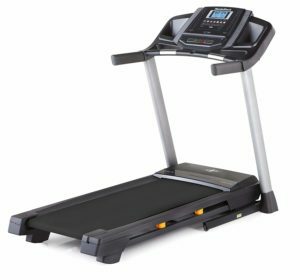 Here are some of the best selling treadmills on Amazon. 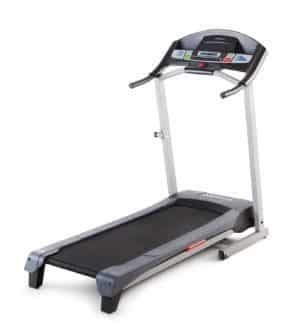 Running surface 14" x 44"
To my surprise all of the best rated treadmills are well under $1000. 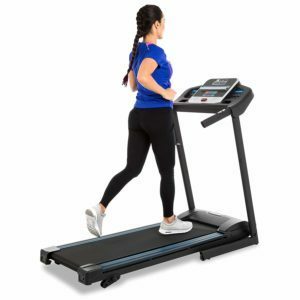 Perhaps it is just me but I thought you couldn't get a decent budget treadmill under $1000 when in fact all the treadmills I listed above except for the NordicTrack are under $500. What separates the low priced Merax JK1603E from the more expensive NordicTrack T 6.5 S? 3 key features will have the largest effect on the quality of your run. Other features will make runs more enjoyable, like having a sound system built in or more pre-programed workouts. However if you can't actually run on the treadmill those extra features won't make a difference to running you aren't doing. These 3 things will make or break a treadmill so I need one that checks all the boxes and possibly throws in a few extras if it doesn't cost an arm and a leg. For running you really want to have a belt that is at least 16 inches wide and 48 inches long. Too narrow and you are going to feel like it's a struggle to not accidentally step off the side of the belt. Too short and when you get up to a running speed your stride will be longer than the belt and you will have to slow down to not fall off the end. The power of the motor in the treadmill will have a massive impact on how the treadmill performs. An under-powered motor will bog down and struggle to keep the belt moving at a constant rate when your foot strikes. Imagine if you were running outside and the road wobbled a bit every time your foot hit the ground, that's what an under-powered motor will be like. Aim for something in the 2.25 hp or higher range for smooth running. How do our bestselling treadmills stack up? running area over 16" x 48"
It is pretty easy to see that least expensive Merax just won't work for running since it lacks all of the main features needed. Unsurprisingly the most expensive treadmill on our list, the NordicTrack, checks all the boxes. 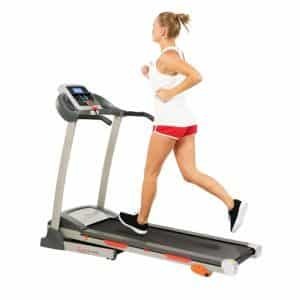 Both the Weslo and Xterra treadmills fill all the basic requirements and are in the mid-range of these budget treadmills. It really comes down to spending a few extra dollars to get some nice to have features. Personally the Xterra Fitness TR150 with extra incline setting and heart rate monitor on the hand grips instead of a thumb sensor on the console are worth it to me over the Weslo Cadence G 5.9. 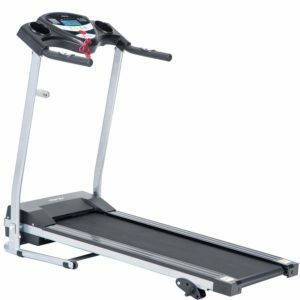 However you really could not go wrong with either and both are excellent choices for a budget treadmill for running. The best blend of features without the hefty price tag. How Much Propane Does a Forge Use?